(P1) LG Electronics launched its latest 5.7-inch smartphone, Wednesday, in a bid to expand its presence in the mid to low-end handset market. (P2) The company said in a statement that it launched the Stylus 2 Plus in Thailand, and would start selling the firm’s largest-ever handset into other key markets ― including Mexico, India, and the United States. (P3) LG hopes the new handset serves as a key profit booster, as demand for cheaper and bigger smartphones grows across the globe. 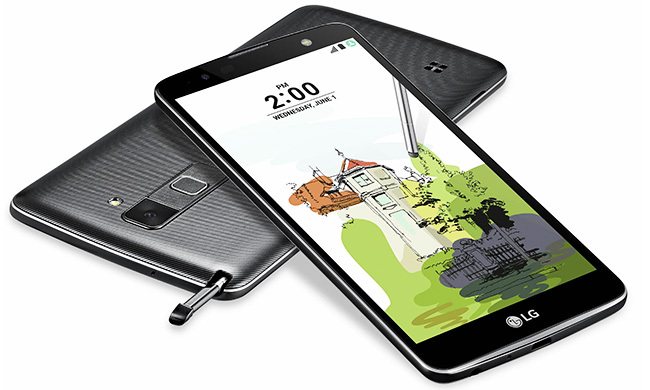 (P4) The Stylus 2 Plus is equipped with a 1.4-gigahertz (GHz) octa-core processor and features 5.7-inch full high-definition (FHD) display. (P5) “The new handset will cost around $350, but the price may vary in each country,” said an LG Electronics official. (P6) He said the device also comes with a fountain pen. (P8) The company will not launch the smartphone in the Korean market, as its predecessor Stylus 2 is still popular here. Which smartphones are popular in your country? In your opinion, why? Would you buy LG’s new 5.7 – inch phone? Why or why not? Have you ever used a fountain pen with a smartphone? If yes, do you like it? If no, do you want to use one? Which processor does the new mobile phone have? Which market will LG not sell this device in?